Before starting a 3 Day Pressed Juicery cleanse, I decided to round up all of my veggies to make a vegetable soup to have beforehand, and freeze and enjoy after the cleanse. It was nutrient filled, protein enriched and low sodium. It’s a great way to use up veggies before they go bad. 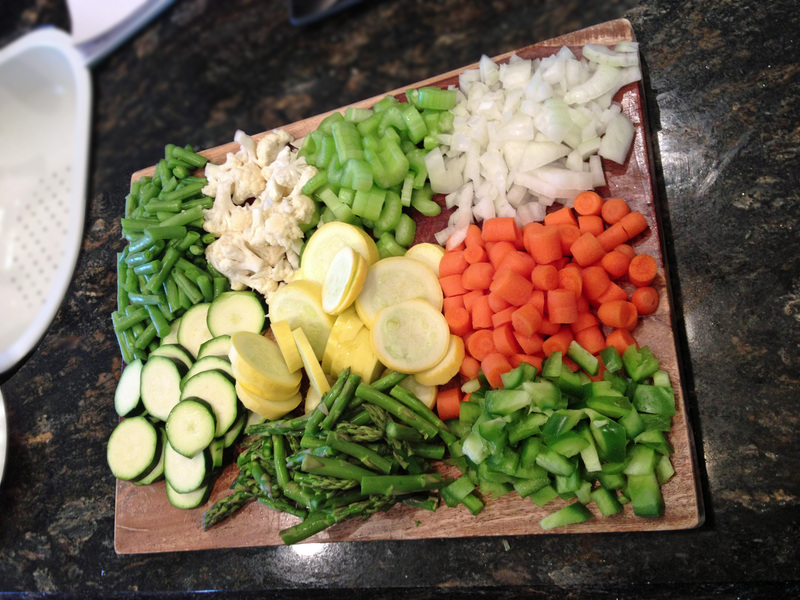 Chop vegetables, I used green beans, cauliflower, onions, carrots, squash, zucchini, asparagus, and green bell peppers. Heat 2 T coconut oil with garlic and onions in a pot. Add spices, I used basil, oregano, pepper, and Mrs. Dash Italian seasonings. Sauteed carrots, cauliflower and celery until tender. 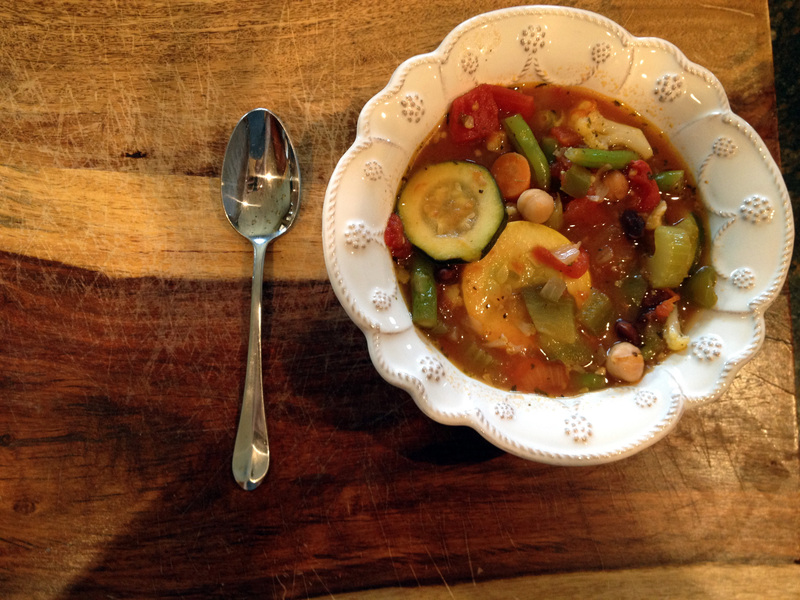 Add green beans, peppers, and asparagus, along with 28 oz water, 14 oz no-salt added diced tomatoes, and 2 vegan no-salt added bouillon cubes. I also added 2 bay leaves for flavor. Let simmer for 30 minutes. 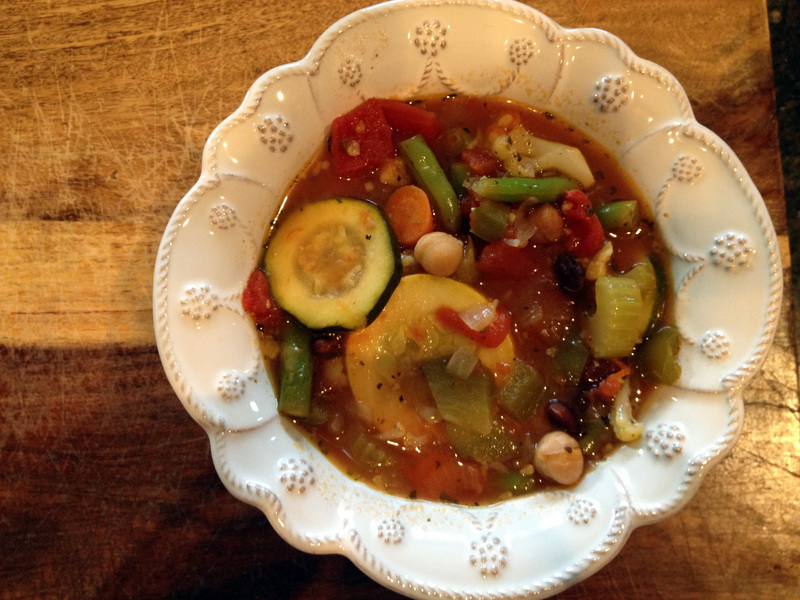 Add remaining vegetables and beans, zucchini, squash, chickpeas, and black beans and let simmer for another 15 minutes. Serve warm!